With each new Star Wars movie that comes out, I find myself being critical of the Science in it. 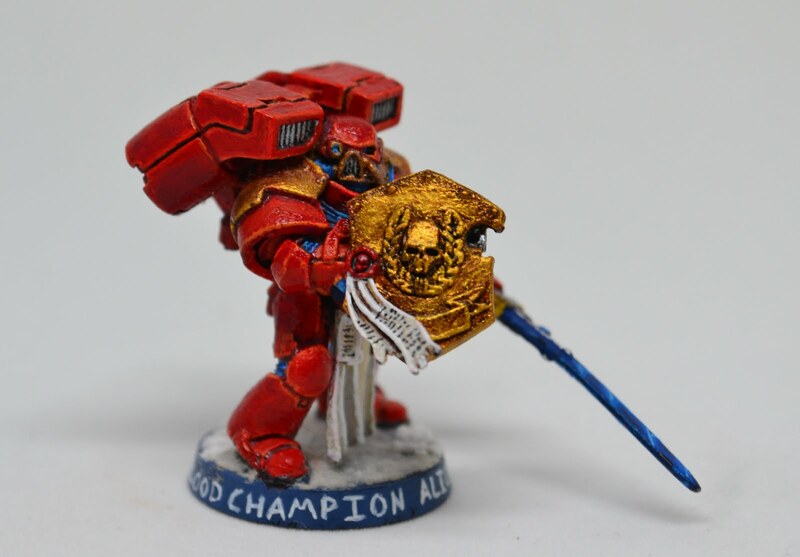 I understand is it Space Fantasy and should not be taken seriously. And I don't. I LOVE Star Wars and find each of them highly entertaining in their own way. But that does not mean that I can't be critical of certain details THAT RUIN THE TOTALITY OF STAR WARS. Hold on, I don't mean to say this franchise we LOVE is ruined. But take a moment to read my previous Science based posts about how Star Killer base is ultimately a worse weapon than the Original Death Star and how I predicted how the infamous Solo shield bypass maneuver makes the "War" part of Star Wars pointless by itself being a super kamikaze weapon. Then my next post about how said Kamikaze maneuver in TLJ was not NEARLY powerful enough and is really a better move than using something like the Death Star. See what I mean when I say "Star Wars is ruined"? Oh, you mean the science part. Well I have a Master's Degree in Applied Physics, specifically focused on shock physics/weaponeering. I guess that counts for something. 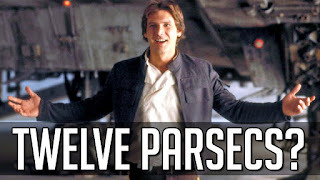 ANYWAY, let me tell you that even though the new Solo: A Star Wars story "fixed" the Parsec conundrum of time vs distance, it still leave a huge gaping hole in the form of WHY IS A PARSEC EVEN A UNIT OF MEASURE TO THEM! For those not in the know, a Parsec is used to measure the distance to another star using the reference dimension of AUs, which is the specific distance between our Earth and our Sun. It's more of a perception of scale dimension, because when you are dealing with the space between astronomic bodies in the universe normal units give no concept of scale. And actually its worse than that. 1 AU is 4.8481e-6 Parsecs. If that line is 1 pixel thick, I would need a line 4.8 million pixels long for it to work. Now you might say maybe its the the parsec of a different planet and its sun. 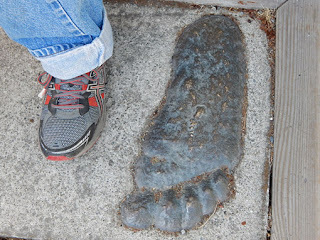 Well fine maybe that's what's supposed to be, but that is the measurement equivalent of measuring feet using your actual foot. They aren't all the same, so you "6 feet" would be different than mine. Or Bigfoots for that matter. They are both "One Foot" right? Point is, in a Galaxy with tens of thousands of planets and thousands of species from all over, it would be weird to base the standard unit of measurement off of any one planet. Now you may say "What about Coruscant" and that is kinda fair. It has only been the seat of the Republic and the Empire for a little over 1,000 years.... however there was Hyperspace Travel well before that (it is over 4,000 years old by the time the First Order comes into existence). So it would likely have to be something well before that. And in the wake of the Galatic Civil War, Coruscant stops mattering. In the end it is just silly to base a galactic standard off the orbit of a single planet. 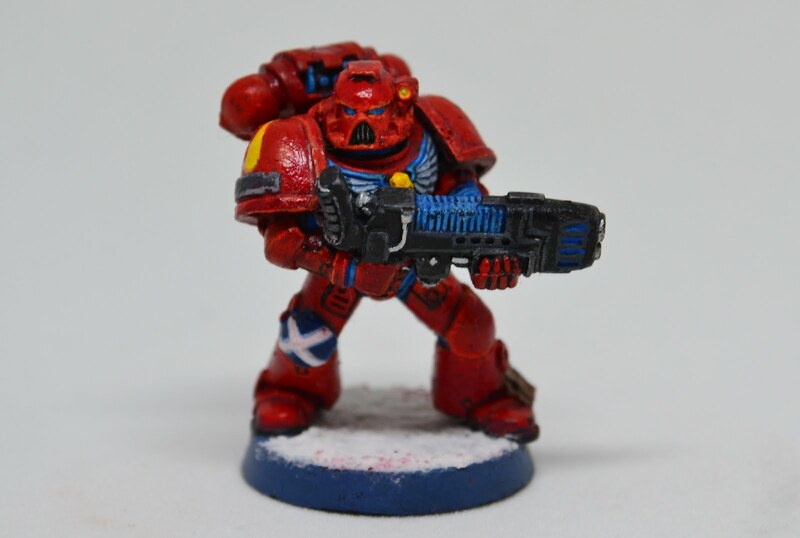 A more appropriate unit would be based on a degree of rotation of the galaxy, or a distance between the 2 brightest objects, or the distance you cover at hyperspeed in a galactic day (whatever that standard is. 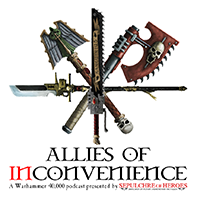 We are only covering one here). Basically something a little more galactically tangible. 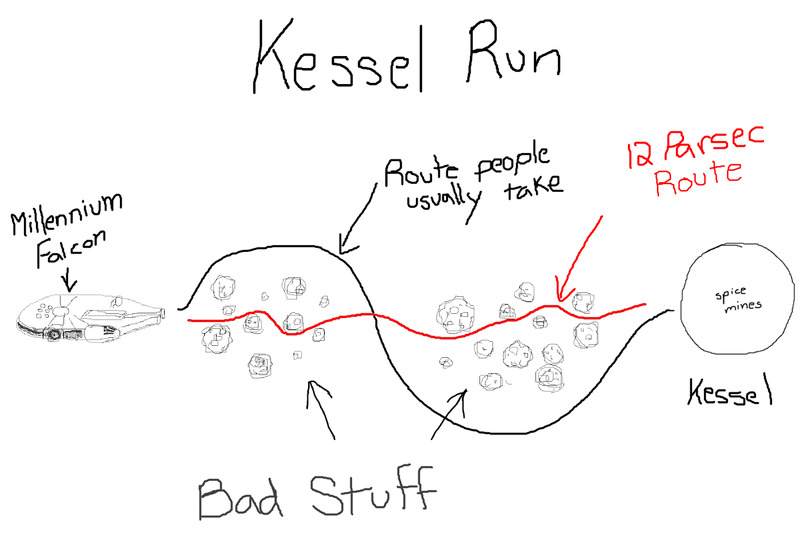 So now that I have ranted about why a Parsec is even a measure of distance in the Star Wars universe, lets go into why doing the Kessel Run in 12 of them is still relatively dumb. And I know the line is LESS than 12 Parsecs, but 1- he admits he was rounding down in SOLO and 2- it is easier for me to just use 12 moving forward. First of all, Han Solo took a shortcut. He is bragging he is so fast, but really its just a different distance? Would a marathon runner be like "I'm so fast I ran those 26 miles in 15 miles"... No. That just means you cheated. Sure its awesome Han was able to take a short cut the the Maw, but not really relevant to his speed. 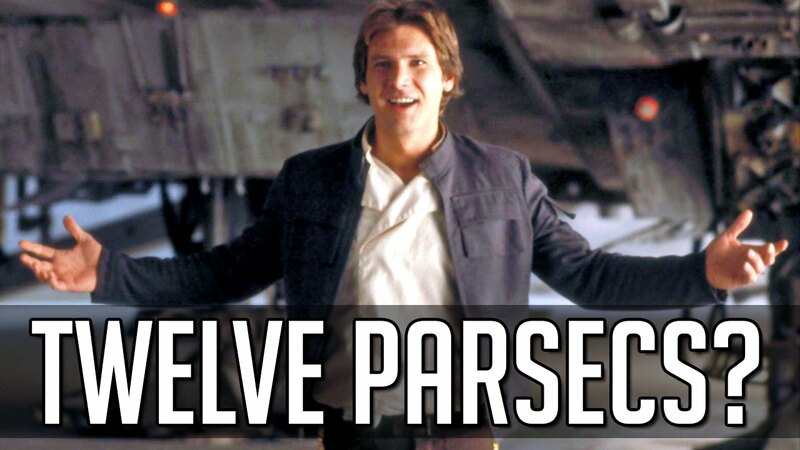 Up until this point, I haven't said how far a Parsec actually is. Well for our purposes, lets say that this is a magical universal constant, so it exactly matches our Parsec. That would mean a Parsec is 3.262 Light Years (which is another reference specific to Earth, but that is beside the point. It works for my purposes here). That means 12 of them is 39.144 Light Years. FYI, the Star Wars Galaxy is only 120,000 Light Years wide, meaning that Han's Kessel Run covered ~.01% of the breadth of the Galaxy. 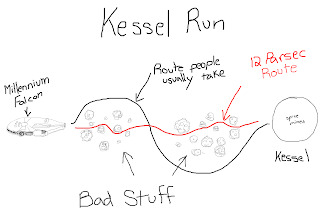 The NORMAL Kessel Run is 20 Parsecs, meaning it would be ~.016% the breadth of the Galaxy or 65 Light Years. So roughly the Galatic Neighborhood. For reference, the nearest star to Earth is Proxima Centari and it is 4.25 Light Years away. Now whats odd is the Kessel Run is through that huge cloud, called the Akkadese Maelstrom. What we see in the film is on the way in, they make these short skips through hyperspace and then fly a little in real space, and on the way out our heroes do alot of initial flying in real space, then one long shot jump in Hyperspace. Now the Falcon is actually slow in realspace. It does a made up speed of "3000 G" to a Tie Fighters "4,150 G". Now it does have a atmospheric speed of 1200 KPH, but this is Space. Lets say G is once again magically related to our accepted G on Earth. 9.81 meters per second per second... yes per second per second. Its acceleration. So it is silly for speed. But lets just call it a constant 9.81 meters per second for this rating. That means the Falcon at sublight speeds goes 29.4 Km/s. That is fast... but light is 300,000 Km/s. FYI the fastest ship we ever launched, the New Horizons probe, only did 16 Km/s. So, that means even at full blast sublight, Han did NOTHING to chip off the distance. Every minute of realspace flight he does only saves him .6% of a light second of travel. Not light year. Light second. Meaning most of the flight through this "Maelstrom" actually had to be through stable, reliable and LONG hyperspace corridors. I am talking on the order of distance between stars long. So really it doesn't make sense IMO. So lets talk about Hyperspace speeds. There is a pretty cool article where someone deduces the actual speed of the Millennium Falcon. I'll let you read it, but essentially he uses the scale of the galaxy and an estimated times to travel from Tatooine to the space formerly occupied by Alderaan. He comes up with 25,000 Lightyears per day, and then equates that to ".5 past lightspeed", which it really isn't, but that could just be Jargon. It would mean 20k LY/day is .4, 15k LY/day is .3 etc. etc. Kinda like a Warp Factor from Star Trek. So with that in mind, that means it would take the Falcon normally only about 4 minutes of Hyperspace Travel, plus whatever realspace time, to do the Kessel Run, but Han managed to get it done in just 2.25 minutes. Big Whoop. No one cares. BUT in the Movie Solo, these scenes are several minutes long. But we can just attribute most of that to hyperspace. As i showed earlier, realspace travel offers no real savings in comparison to the scale hyperspace crosses. SO now lets back track. Lets say he did that Run in 3 to 5 minutes of hyperspace, ignoring the realspace time. Seems plausible based on what we see on screen. Now we will use our known speed of the Falcon based on other ON SCREEN references, at 25k LY/day. That means 1041 LY/hour, meaning he had to travel between 52.05 to 86.75 light years in his Kessel Run. This would make a Parsec between 4.34 Light Years and 7.23 Light Years in Star Wars scale, given that he covered 12 of them in that distance. That is 132% to 222% what a Parsec in relation to Earth is. 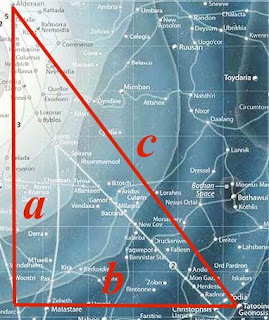 Now using Pythagorean geometry, we can find out just how close to a star Han's parsec reference planet is. Turns out that is only 124 to 206 million miles away from their star. For comparison, the Earth is 93 million miles from the sun. Mars is 129 million miles and the Asteroid Belt is 205 million miles from the Sun. That is 1.33 AU to 2.21 AU for our star wars reference point. Why would you brag so much about only being like a minute faster that the other guyn especially if once you come to real space, the real time eater in Star Wars space travel, you are pathetically slower than everything else. Your minute leg up over 99.9999% of the journey means nothing if it takes you 10 minites more than the other guy to do the the last .0001% of that trip.